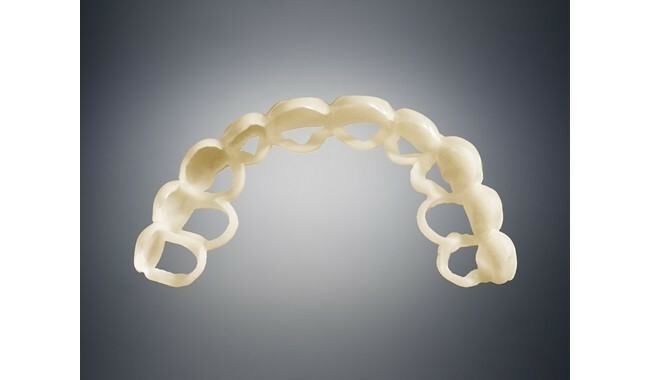 Streamline in-house production of dental models, orthodontic appliances and surgical guides. The Objet Eden260VS Dental Advantage delivers the lowest cost per part with the accuracy and consistency needed for fine details and complex surface geometries. 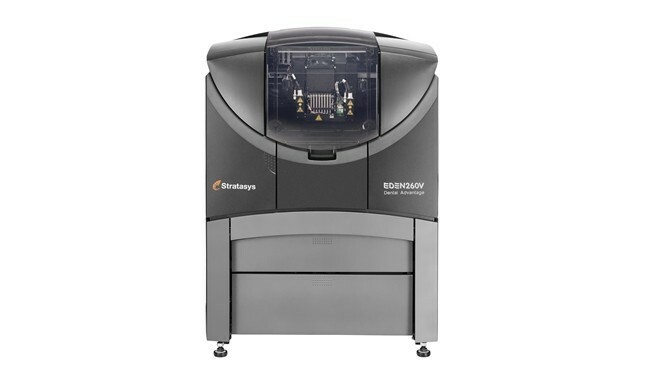 The Objet Eden260V Dental Advantage is Designed for larger dental and orthodontic labs, competitively priced to help you increase production speed and throughput by creating consistent, accurate models and appliances. Ideal for dental and orthodontic labs wanting to increase throughput by embracing digital dentistry. It builds surgical guides, orthodontic appliances and dental models in-house, directly from digital files. Based on clean, safe and quiet PolyJet 3D Printing technology, the Objet Eden260V Dental Advantage is easy to use and office-friendly. 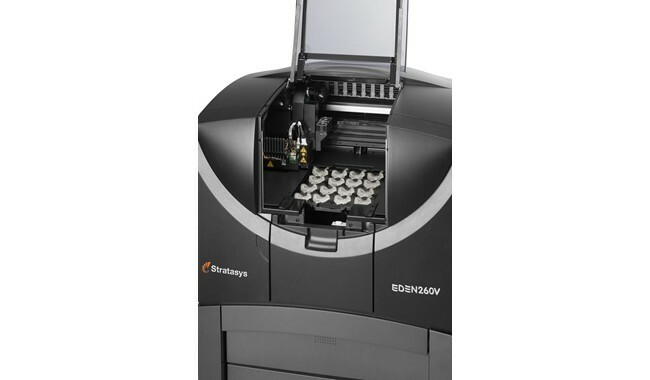 This solution delivers more than double the build speed over our lowest-priced dental solution, in addition to a larger build tray for great throughput. It’s about the size of an office copier. PolyJet 3D Printing technology offers many rapid-prototyping advantages, including astonishingly fine detail, smooth surfaces, speed and precision. The technology works with a vast array of materials, including specialized photopolymers for 3D printing in the dental and medical industries.